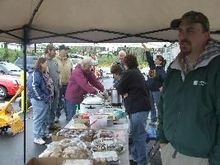 The Friends of Weiser organized in 2010 in order to ensure the future use of forest lands through the preservation of forest trails. 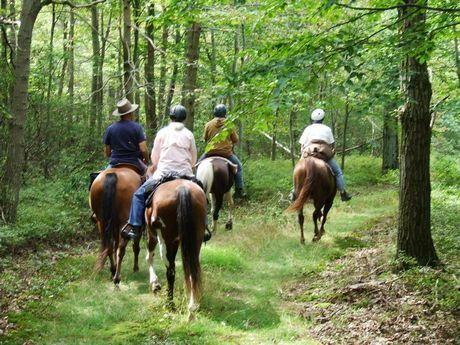 The trails at Weiser State Forest are multi-use meaning most trails are open to hikers, bikers, horses, hunters and hand gliders. 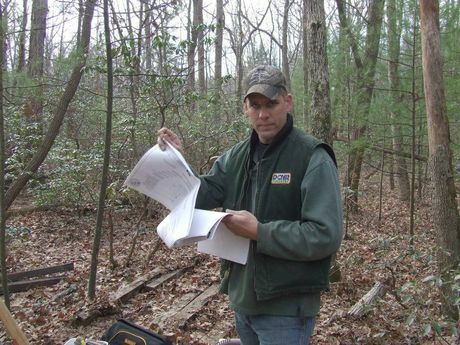 The group works in cooperation with the DCNR forestry personnel who approve all project improvements. 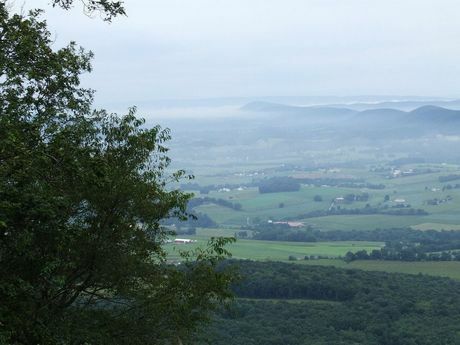 Within the Weiser State Forest are some very rugged and secluded wooded areas. These areas can be reached by the 65 miles of roads which have been constructed for wildfire suppression and administrative use. All State Forest Lands are open to the public for hunting, fishing and general recreation. 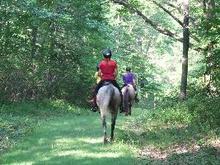 There are two small State Forest Picnic Areas located on the Haldeman State Forest Tract in Dauphin County. These picnic areas offer a secluded place to "get away from it all." 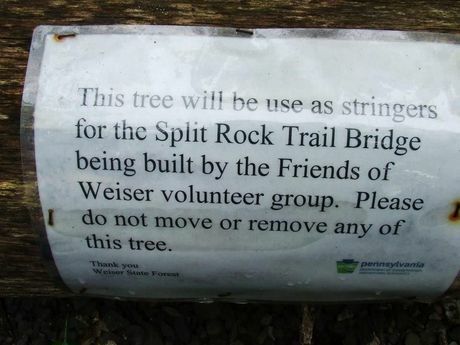 Please mark your calendars and try to attend the next meeting of Friends of Weiser State Forest. It will be Jan 4 at 11AM in the stone office building just inside the main entrance to Haldeman Tract, Weiser State Forest. This is a very important meeting! We will be reorganizing for the new year. We already know that we will be in need of a new secretary and we have several openings for board members. It is very important that we keep a diverse membership on our board. We want to do our best to represent all the users of Weiser. We would also like to get a rough plan together for what we would like to accomplish in the coming year. Nick Zulli would also like to present the plans to reroute Wolfe Pond Trail, this will be one of our major projects for the year. He would like to get a plan together to accomplish this project. Like always there will be food! We will plan for lunch around 12:30. I am thinking Lasagna and I will make one a veggie. Please let me know if you plan to attend so I can figure on the amount of food we need. We welcome your input and suggestions. Please feel free to contact me with your thoughts and ideas. I hope everyone has great holidays and will start their new year off by becoming involved in Friends of Weiser. Congratulations to our very own Fire Wardens: Sherman Warfel, Matthew Herrold. Also a Special Note of Thanks to Nick Zulli for his project ideas at Weiser - Hadleman Tract. There is a small tract, of the Weiser lands, about 900 acres in Carbon County. We have completed about eight miles of beginner bike trail. It is an easy trail. mostly level, all in hardwoods, I designed it so it would be easy for children to use. 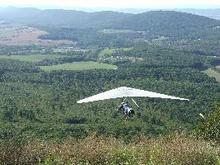 It is a combination of the forest road system and single track. The tract is off of Stony Mountain Road, via SR 093 in Penn Forest Township. The Official Pennsylvania State Parks & Forests App is now completely FREE! This latest version now on the market includes advanced interactive capabilities such as GPS trail mapping, the Friend Finder to keep track of your family and friends on the trail, and more. This new version increases performance speed and cuts activation time in half. With the new multi-tasking capability, users gain enhanced user navigation. The more adventurous outdoor enthusiasts will benefit from the recently added GeoChallenges that include geocache and geoquest activities, which will be updated regularly. The waypoint/photo waypoint marking tools have been upgraded and there has been a fine-tuning of the trail-tracking feature located on the side navigation bar of the free GPS Mapping section. Use the app to track, record and share your explorations with others-all at no charge. Try out the app! It's FREE! Introducing the Pennsylvania State Parks & State Forests Passport! We challenge you to complete interest areas, track your State Parks & Forest visits in your Passport, complete one of the forms contained in the book (or download one HERE), and receive a Champion's Tag for your efforts! 2013 Gratz Fair: Watch for us at the DCNR Booth! A one page flyer about Friends of Weiser and our projects are available to fair attendees at the DCNR booth. Our first Membership Drive & Fundraiser was a success. The great tasting ham & bean soup, hotdogs with sauerkraut, and BBQ was gone in a flash! Thank you everyone who supported our event. And to all the great cooks and helpers a hearty yummm.....thanks! COME VISIT WITH US at our next event and learn more about becoming a Friend of Weiser! 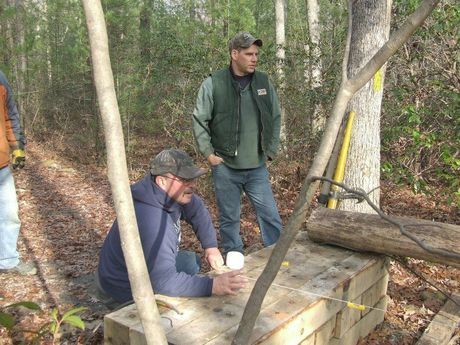 Trail to showcase the different silvicultural methods to harvest woodlots - started Fall of 2011; finished in 2012. Oct. 18, 2013 - Milton Hershey School Seniors volunteer at Weiser. We had a very productive work day this past Friday, Oct. 18. Milton Hershey Schools brought 9 students up for their service day. We painted the signs on the Troutman Trail, the signs around the entrance, signs on the way up White Oak Road, blew the leaves off the picnic grounds and put the top rail on the bridge to Split Rock trail. It was really nice having this group of seniors up to help! Thanks everyone for volunteering your time! It was greatly appreciated. –Haldeman\Greenland Tracts,is replacing a bridge that has been washed out for years on the Split Rock Trail. The trail head is located at Minnich’s Hit Picnic Area. 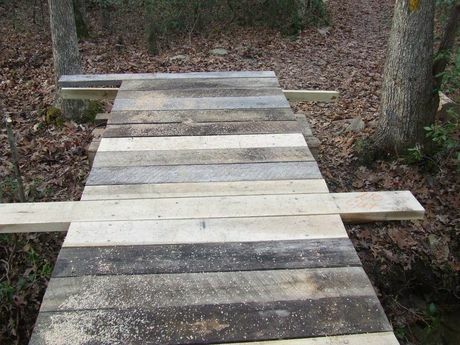 On December 16, 2012, a group of volunteers began the work on the new bridge. They were able to finish the majority of the work. A special thanks to all who volunteered. Nick Zulli reads the blueprints before bridge construction begins. The walking bridge deck was finished on December 16, 2012. 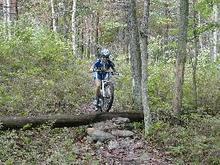 - Expand an old existing trail that makes a loop off rim trail at the top of the mountain just past the hang glider launch. We will just need to clear out the bottom part of the loop which will not take much work at all. - Discussion on opening new trails to connect the trail system to the town of Lykens is still being considered for 2014. Another possible trail is from the end of Lukes to Fawn Kill. OUR SECOND PROJECT COMPLETE on November 13, 2011. 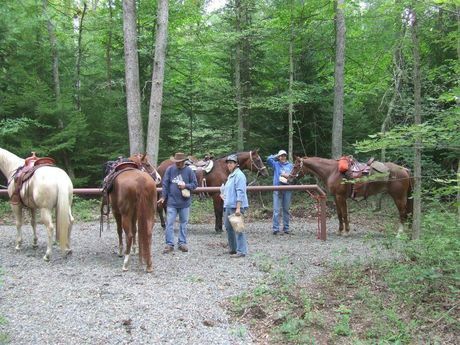 Our second project - was to build a hitching post to tie horses at Minnich's Hit Picnic Area so riders could use the restrooms and picnic. The rail is 30 feet long and has places to tie 10 horses. Don Newcomber did most of the work, he did a great job with Scott's & Rick's help! It didn't take long until Scott visited the site and found several horses tied to the hitching post! Hitching Post is getting more use. WE DECLARED THE PHYSICALLY CHALLENGED TRAIL COMPLETE on July 16, 2011. Our first project - was to continue the physically challenged trail at Minnich's Hit that was started by the Rattling Creek Singletrackers Bike Club. The first leg of this work began on March 19, 2011. 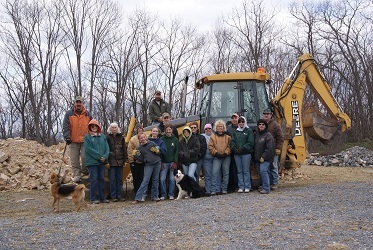 Nineteen volunteers attended the workday to help move mid-sized stones to a staging area. The stone will be used to build small walls needed to level the trail that leads to the meandering creek with its pristine waters and soothing sounds.